You can eat extremely well in Kyoto on a limited budget. Here are some tips for eating well on the cheap, and a detailed list of my favorite Kyoto cheap eats. It’s easy to get the impression that eating well in Kyoto will cost a lot of money. Sure, if you want to eat only kaiseki (haute cuisine) and top-end sushi, it will cost a lot. However, if you’re careful and choose wisely, you can eat some truly memorable food for US$10 per meal or less. When you look at what things really cost in Kyoto, and take into account that there is no tipping and tea is free, it is clear that it’s MUCH cheaper to eat well in Kyoto than in almost any other city in the developed world. Just imagine what (and where) you’d be eating in New York, Paris or London on US$10 a meal. Many of Kyoto’s finest restaurants (including some of its famous kaiseki restaurants) offer a lunch menu that costs a fraction of their dinnertime prices. Japanese food tends to be cheaper than foreign food, so go local if you want to save money. Simple noodle (soba, udon and ramen) dishes and rice dishes (donburi, or rice topped with various things) are the best choices to fill up for cheap. Set meals always cost less than ordering a la carte. Learning the words “teishoku” (set meal) and “higawari teishoku” (daily special) will save you a lot of money. Take away food is a great deal. You can buy some really high-end takeaway food in the “depachika” (basement food floors) of Takashimaya and Daimaru department stores. Bakeries sell a variety of pastries, breads and ready-made sandwiches that are perfect for breakfast in your hotel room and picnics on the go. 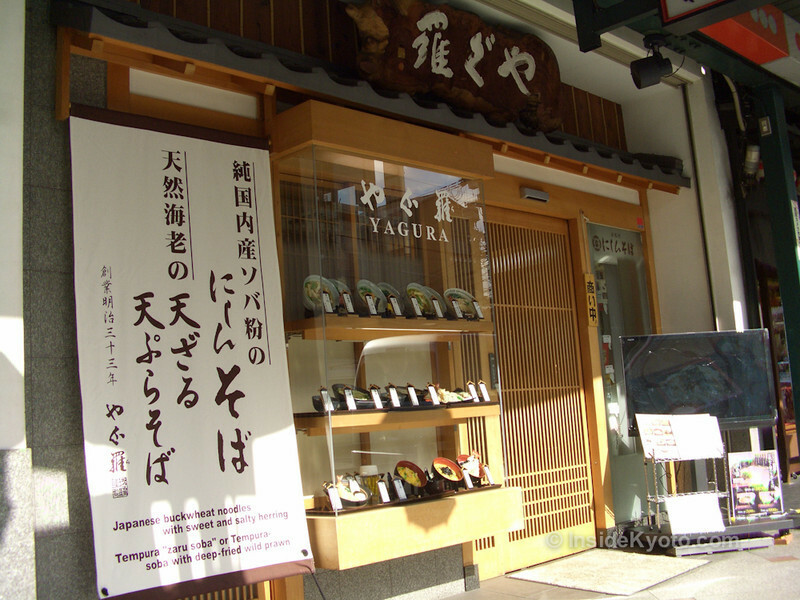 Eating while standing at “tachi-kui” (stand-and-eat restaurants) is the cheapest way to eat out in Kyoto. Simple noodle and rice dishes at these places run about Y300 (US$2.75). You’ll find them at train stations and in the downtown shopping area. This food hall on the 11th floor of the Kyoto Station building has some good inexpensive places to eat (along with some pricey choices). 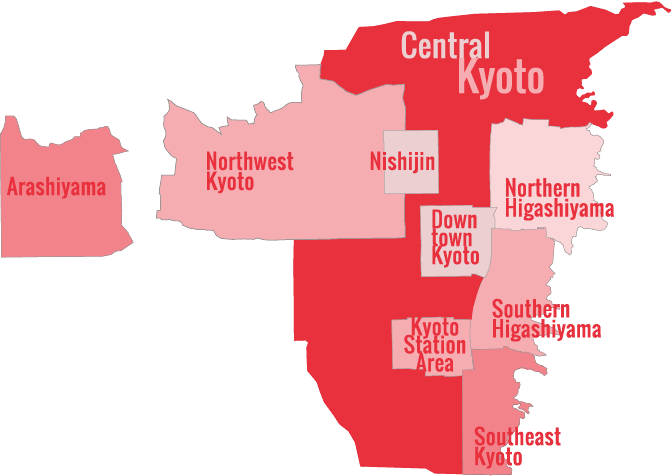 There are eight regional styles of ramen collected together here on the 10th floor of the Kyoto Station building – and all of them cheap. 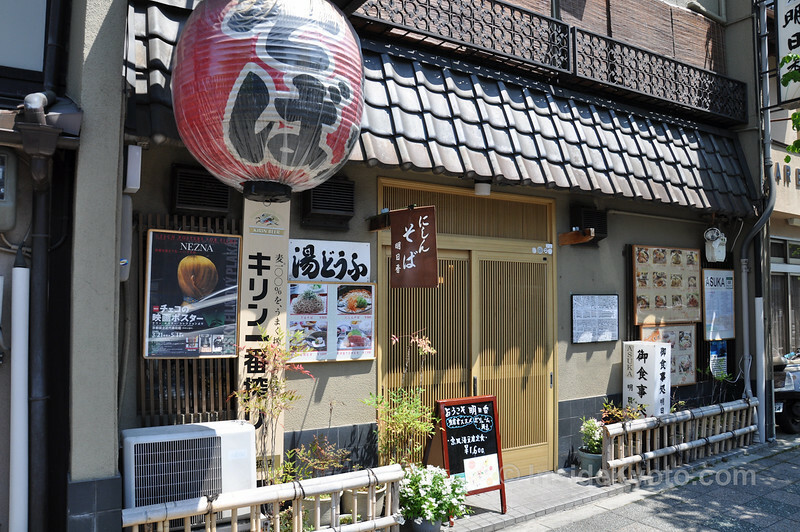 At lunch or dinner, you can enjoy a bowl of incredible ramen and gyoza (dumplings) here for less than Y1,000 (US$8.50). It’s near Nishiki Market. The set meals at this huge downtown sushi specialist are remarkably cheap and filling. And they’ve got almost every type of Japanese food imaginable – not just sushi. It’s near Sanjo-Ohashi Bridge. This modern healthy Japanese teishoku (set meal) restaurant is an excellent value. The full English picture menu makes ordering easy. It’s near Sanjo-Ohashi Bridge. What’s more fun than cooking and eating okonomiyaki (savory “pancakes” filled with all kinds of goodies) on a griddle at your own table? This is a great place to do it on the cheap. The lunch sets at this Indian restaurant are tasty and cheap and include chai or coffee after your meal. It’s right downtown on Kawaramachi, just north of Sanjo. 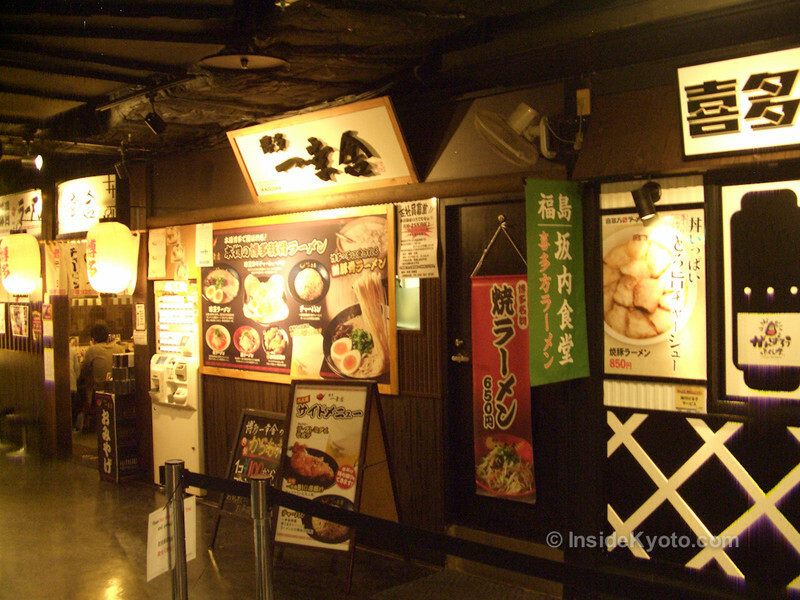 This noodle and rice joint is a great place to fill up while touring Southern Higashiyama. It’s about five minutes’ walk from Yasaka-jinja Shrine. This noodle shop specializes in nisshin soba (soba topped with a smoked herring), but you can get all the other soba and udon standards here. It’s opposite Minamiza kabuki theatre on Shijo. 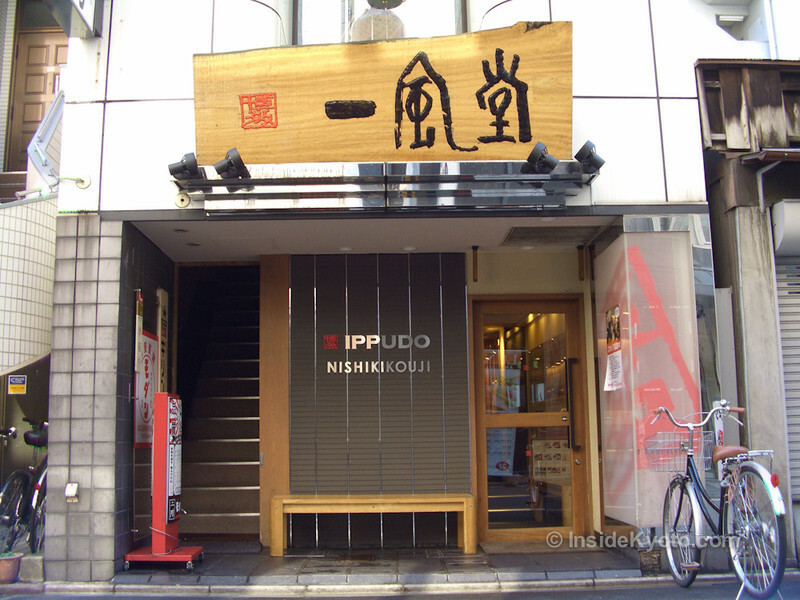 This homey and friendly teishoku restaurant also serves the all the usual rice and noodle favorites. It’s on Sanjo, within walking distance of places like Chion-in Temple, Nanzen-ji Temple and the Okazaki museum district.